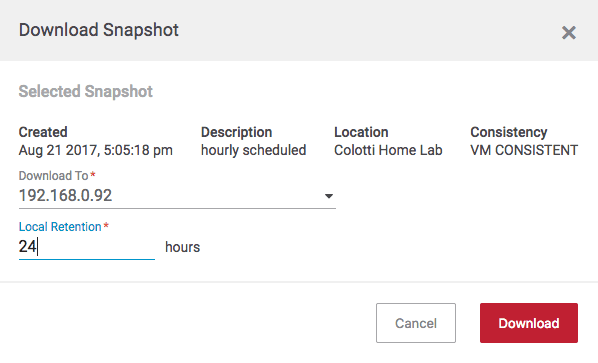 Last month, I introduced you to the new Tintri Cloud Connector feature for storing long term backups on AWS S3 or IBM Cloud Object Storage. What I wanted to briefly show today is how you actually restore back from the cloud in the event the machine is corrupted or lost. In this case I will completely delete the machine from vSphere and the only backup I have of it will be the long term cloud retention. For the sake of fun let’s assume it was deleted accidentally weeks ago, therefore all the short term local and remote copy retentions have expired. Let’s face it…..we’ve all deleted something only to find out weeks later it was actually being used for something! In the event you realized you, or someone else has deleted an important virtual machine completely from vCenter, this process is pretty slick and easy to do. For purposes of illustration let’s assume that the 24 hour and 1 month retention copies locally and on a remote VMstore have expired and you need to restore from the public cloud. 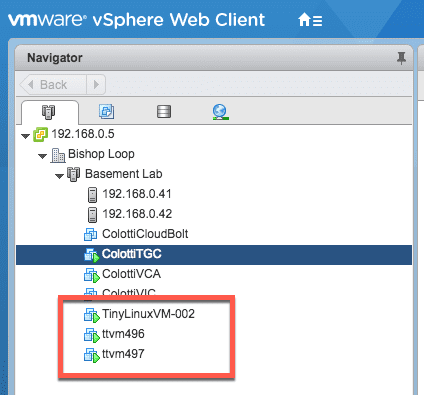 You will first connect to Tintri Global Center (TGC) and you should find a virtual machine in a “Synthetic” state. You will still see the machine in the list, and when you click on it you will see the synthetic designation. Obviously the machine would be missing in vCenter as well at this point. Fear not however! We can still recover this virtual machine from Amazon Web Services, because this machine cloud retention has not expired yet. We can browse the list for the most recent copy that is available for recovery. Once we select the version we want, we simply need to download a copy of it and clone the snapshot. Even though this is a snapshot, it will download a full copy so we can properly clone it and present it to vCenter. In the screen shot below I am downloading it to the 2nd VMstore available, although I could have restored it back to the original VMstore. Once the snapshot has downloaded, you can clone it back to vCenter, effectively bringing it back to life. This is a common use case of supporting multiple retention policies across multiple locations to suit your organization’s needs. Now that the feature has gone GA in the customer support portal, I am working on a POC doc for users to follow and try the feature.